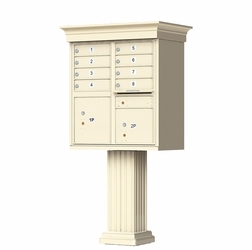 If you are on the lookout for a commercial mailbox, then you have come to the right place. 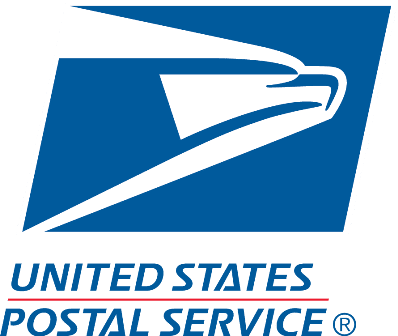 USPS Delivery - Choose from our wide selection of USPS access mailboxes if the United States Postal Service will be delivering your mail. Commercial mailboxes for USPS delivery will be installed with a master postal lock (if applicable) by your local postmaster. This allows a USPS employee access to the commercial mailbox unit via one master door opening. Commercial mailboxes for private delivery can be used if a private individual (non-USPS employee) will be delivering your mail. 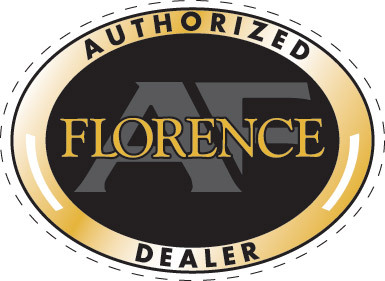 Private access mailboxes will include factory-installed master commercial locks (if applicable). This allows access to the unit via one master door opening. 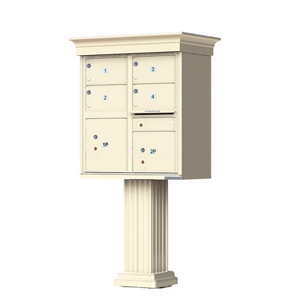 Pedestal-mounted commercial mailboxes are recommended for up to 16 tenants and can easily be installed into concrete surfaces. This type of installation is ideal for outdoor setups. Wall-mounted commercial mailboxes, on the other hand, can accommodate more tenants. 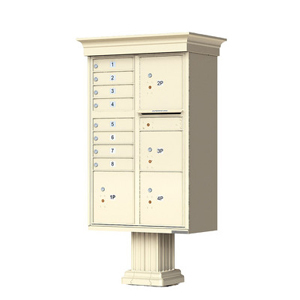 However, if your property does not have enough wall space and depth for wall mount mailboxes, you may opt for surface-mounted commercial mailboxes. 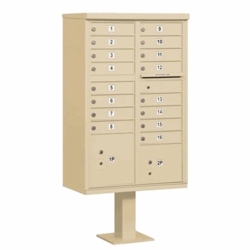 Another option for installing commercial mailboxes is to utilize the 4C mailbox models and place them into mail stations, thereby creating a fully-functional and convenient outdoor mail center. Determining the number of tenant doors you will need is one of the most important factors when looking for the ideal commercial mailbox. Finding out the right number of doors or compartments will also give you an estimation of how much space you will need for your commercial mailbox installation. Custom lettering and/or custom numbering options are available when you order your commercial mailbox from LowPriceClusterMailboxes.com. Address tags and custom engraving are also available options. 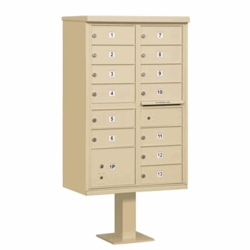 Most of the commercial mailboxes we offer allow you to personalize the number of compartments and door configurations according to your specific requirements. 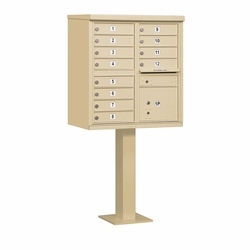 The new USPS-STD-4C standard incorporates fully-integrated or stand-alone parcel locker options into the mailbox with flatter compartments than the traditional cube shaped compartments. 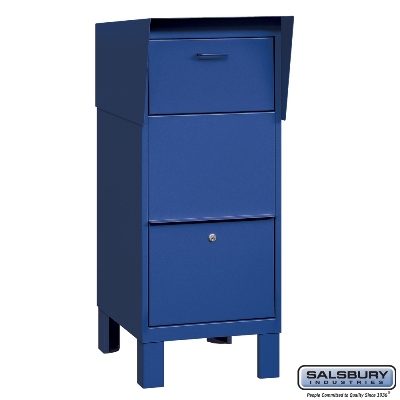 Commercial mailboxes with flat-style compartments are more secure and are better suited to protect your mail from the elements. At least one parcel locker is required for every ten tenant doors. 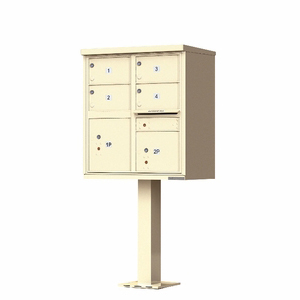 Installation setups with less than ten compartments do not require any parcel locker. 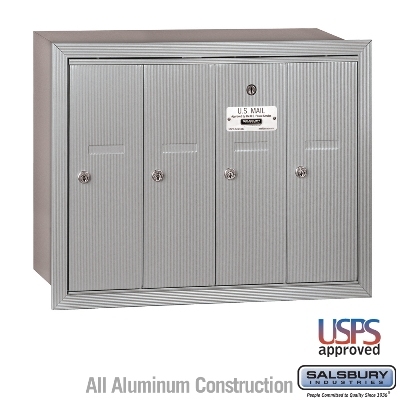 LowPriceClusterMailboxes.com offers 4C standard and custom commercial high security horizontal mailboxes with fully-integrated or stand-alone parcel lockers. 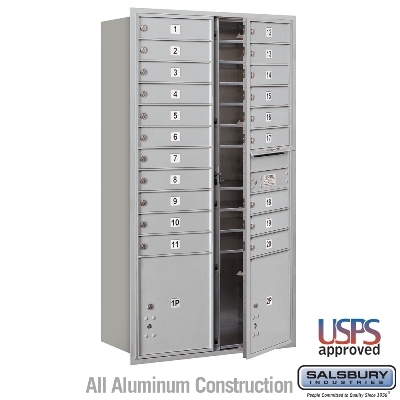 All these commercial horizontal mailboxes (3700 series) have been approved by the USPS and are eligible for installation in new construction projects and major renovations effective October 2006 as required by the United States Postal Service (USPS). 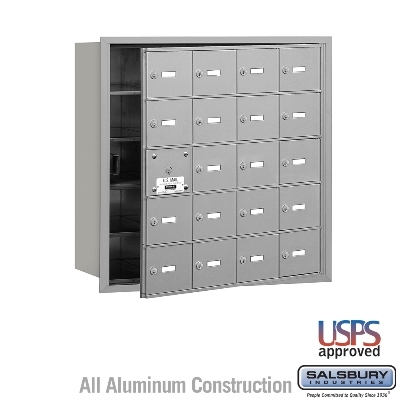 With the USPS-STD-4B+ standard, the USPS has met the demand for enhanced mailbox security. 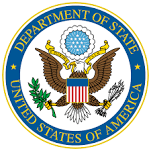 This standard requires mailbox manufacturers to improve and strengthen the master door (arrow lock compartment) on horizontal style residential apartment mail receptacles (3600 series) and vertical style residential apartment mail receptacles (3500 series). LowPriceClusterMailboxes.com offers USPS-approved 3500 and 3600 mailboxes that fully comply with all USPS-STD-4B+ requirements. 4B+ vertical and horizontal mailboxes are eligible for retrofit and/or replacement installations effective October 2006. See also: Commercial Mailbox Buyer's Guide from Budget Mailboxes.